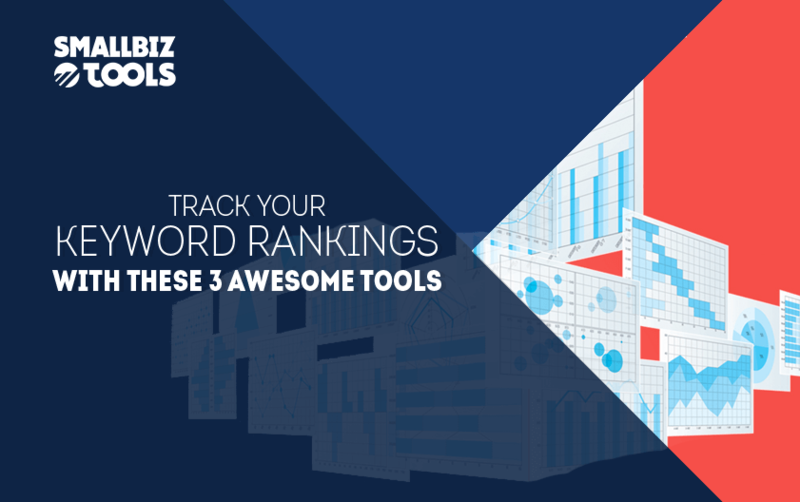 At long last we present out list of The 3 Best Tools To Track Your Keyword Ranking! Everyone is looking for content, and great content gets shared. Most businesses dedicate a great deal of online real estate to their business description, banner ads, services, products and marketing copy. While these components distinguish you as a business from other content online, they’re often generic, lack individuality, and can be overwhelming for first-time visitors to absorb. How do you get your content to stand out from the conventional marketing copy users are bored with? Strategic, helpful, informative content that utilizes well-researched keywords can generate traffic and marketing intelligence you can use to further refine your marketing. Finding and implementing the right keywords will take time, but you’ll gain much deeper insight and find practical solutions for peaking interest in your business and converting leads. Whether you’re already operating online or planning to launch a business website, take the time to research the keywords associated with your industry, market, and brand. Create a buyer persona to help you think like your potential customers, and have fun experimenting with keywords! Large-scale enterprises and marketing agencies with global clients will appreciate the comprehensive web-based solutions offered by Authority Labs. Authority Labs is a SERP tracking tool that keeps automated track of your keywords and how they perform, in any geo-specific market you designate, right down to the zip code. Their full suite of website optimization tools includes a backlink checker, rank checker, keyword grouper, and website crawler. They also offer free tools that can be downloaded as an app, available through their email subscription list. How it Works: Powered by data from Google Analytics, your website, and various other reference sources, Authority Labs can generate a wide range of keyword ranking reports to help you plan your content and tweak blind spots in your marketing strategy. You can target multiple keyword campaigns by geographic location, and the rank checker generates a report that ranks your keywords against other similar content. More significantly, crucial metrics are provided on the source of organic traffic to your pages so you can track which pages are driving traffic. Considered the industry standard by many SEO professionals. Serpfox has years of historical data to draw on, which allows them to provide their clients with accurate, in depth, real-time, geo-specific information about keyword rankings in your target market. It is exclusively Bing/Google-supported, but Google is not a bad place to target your SEO efforts, right? How It Works: Choose the keywords you want to track. Submit them to the Serpfox tool on your Serpfox Dashboard. Moments later, a detailed report is generated, ranking your keywords against thousands of other similar websites crawled across the internet. Their advanced reporting tool and intuitive interface make it easy to test and monitor changes in ranking to specific keywords, with an option to track daily, weekly, or monthly. Serpfox notifications can also be customized based on parameters and thresholds you determine, so you can stay informed of how your keywords are performing. Cost: Serpfox offers three monthly plans, differentiated only by the number of keywords you can track. Fees range from $10 – $30. Another great web-based solution for researching keywords by geo-location. With global tracking capabilities, automated reporting, and customized analytics, AntRanks is a powerful rank checking tool suitable for SEO professionals or entrepreneurs. How it works: A clean, simple interface gives you full control of the parameters and data that matters to you. In seconds you can quickly begin tracking an unlimited number of keywords across multiple devices. Keywords are ranked against 100 search results to give you a clear picture of the top performers, as well as hidden opportunities to capitalize on underserved markets relevant to your business. Cost: AntRanks offers users a choice of four plans, ranging from $19 – $99USD monthly. What keyword ranking tool are you using? Leave a comment and let us know why! This Post Is Sponsored By Article-Writing.co. Article Writing Services & Blog Writing Services.